Build your own outdoor furniture with the help of free plans and step-by-step instructions from top woodworkers and publishers. Scroll through this list to find do it yourself plans for hundreds of picnic tables, Adirondack chairs, porch swings and rockers, easy-to-store folding furniture, outdoor storage solutions, birdhouses, tree benches, garden benches and much more. Build your own porch, patio, deck and garden furniture with the help of expert woodworkers' plans from Canadian Home Workshop. Find Adirondack furniture, outdoor dining sets, reclining lounge chairs, folding beach chairs, storage benches, garden and campfire benches, patio lanterns and much more. Shopsmith's Hands-On Magazine offers cutting patterns, illustrated, step-by-step assembly instructions and materials list for a variety of outdoor furniture projects including a picnic and patio dining tables, a knock-down and store-away dining table with umbrella, a rolling barbecue cart, porch swings, an English garden bench and more. Build your own cafe chairs, garden benches, porch and garden swings, outdoor lanterns, birdhouses, fold-away plant stand, bird feeder and more with free plans from Popular Woodworking Magazine. 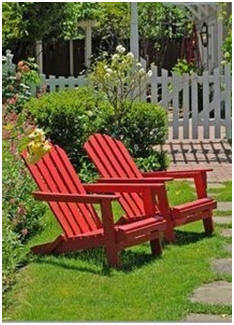 Build your own backyard furniture with do-it-yourself plans and step-by-step instructions by Ana White. Find Adirondack furniture, porch swings, poolside lounges, an outdoor storage bench, outdoor sofas and love seats, and more. You can build any of more than a dozen pieces of graceful outdoor lounge, dining and serving furniture with online plans, material and tool lists and directions from The Design Confidential. Get free plans and illustrated, step-by-step instructions that will help you build beautiful wooden furniture for your porch, patio, deck or garden. Build classic backyard furniture and handy outdoor storage units for your garden and barbecue tools and supplies with these do it yourself plans from The Family Handyman Magazine. Complete, free project plans from MinWax.com can help you build your own beautiful porch, patio and deck furniture. Are you looking for an easy, fun and rewarding building project for your backyard? 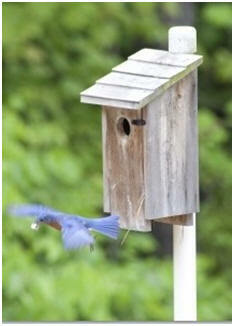 Attract beautiful songbirds by making them welcome with a bird house, feeder or bird bath. Here's a list of dozens of great designs and free woodwork plans from all over the Internet. 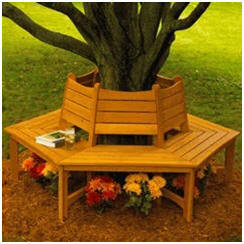 Are you looking for the perfect garden bench or tree bench building project for your yard? Here's a list of dozens of great designs and free woodwork plans from all over the Internet. 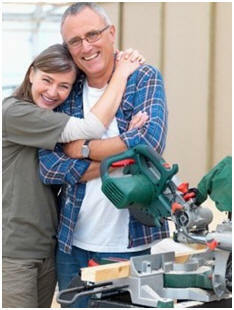 Popular Woodworking Magazine offers some of the best quality free woodworking plans you'll ever find. Step-by-step articles from their back issues and books, prepared by experts, are accompanied by clear photos. Downloadable PDF plans are available at the bottom of each article. These free, instant download plans, from the California Redwood Association, include detailed artwork, materials lists and step-by-step building instructions. Extreme How-To Magazine offers free plans and, illustrated, step-by-step instructions to help you build garden benches, a potting bench, lawn furniture and wooden planters of all sizes. Get complete plans, material lists and instructions from Canadian Home Workshop on how to build their beautiful Adirondack style Muskoka Chair and Footrest, Muskoka Rocking Chair and Muskoka Settee. Be a top-notch do-it-yourselfer with any of the free outdoor project plans from GreatSouthernWood.com, even if you've never built anything before. The fourteen projects include an Adirondack chair and matching footstool, an Adirondack table, a daytripper folding chair, garden benches, an arbor, a birdhouse, a picnic table and benches, a cocktail table and more. With a drill, jigsaw and some planks of pine, you can quickly create comfortable garden chairs with the help of plans and instructions from Amateur Woodworker Magazine. Build your own easy, comfortable Adirondack chairs. Here's a list of some great designs and free woodwork plans from all over the Web. Here's a simple do it yourself woodworking project from Popular Mechanics Magazine Use these step-by step plans to make the classiest lawn furniture around. This online guide includes a 3D, how-to animation. Build your own picnic table or outdoor dining set. Here's a list of more than sixty great designs and free woodwork plans from all over the Web. You've perfected your grilling technique. You've mastered the marinade. Now take your outdoor culinary skills to the next level by building this red cedar cookout cart from Popular Mechanics Magazine. It's the perfect mobile staging area for preparing and serving food outdoors. Shopsmith's Hands-On Magazine offers cutting patterns, illustrated, step-by-step assembly instructions and materials list for a variety of outdoor furniture projects including a classic picnic table, patio dining and serving tables, a knock-down and store-away dining table with umbrella and a rolling barbecue cart. Find plans, material lists and building instructions for an outdoor food service island, a folding food service table, a rolling food and drink service bar, an elegant patio dining set, a campfire bench, an umbrella table, a convenient storage bench and more. Build any of more than a dozen well-designed outdoor tables, chairs and benches with standard lumber, simple saw cuts and joints, and clear how-to diagrams and instructions. You can build any of more than a dozen pieces of graceful outdoor dining, serving and lounge furniture with online plans, material and tool lists and directions from The Design Confidential. Find plans, material lists and building instructions for classic folding beach chairs, stackable patio tables and benches, and a unique folding outdoor food service table. Here's some attractive, lightweight outdoor furniture that you can build on your own. Use them in your yard or take them with you to the beach, to a picnic, to the kids' games or to outdoor concerts. You'll find illustrated how-to instructions and diagrams at AnnaWhite.com. How about a porch swing or one for your garden? You can build yours yourself. Here's a list of some great designs and free woodwork plans from all over the Internet. You can build an attractive glider with the help of downloadable plans, a materials list, a tools list and complete, illustrated, step-by-step directions from TheSpruceCrafts.com. The smooth, gentle motion of this attractive porch swing will keep you daydreaming for hours. 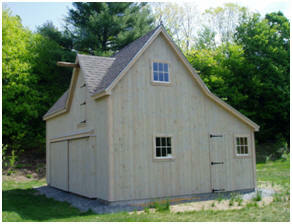 You can build yours in a weekend for about $145.00 with the help of free plans from The Family Handyman Magazine. A drill, jigsaw and some planks of pine can quickly be turned into comfortable garden chairs with the help of plans and instructions from Amateur Woodworker Magazine. Find out how to work with wood, what tools you'll need and how to finish any and all woodwork project. 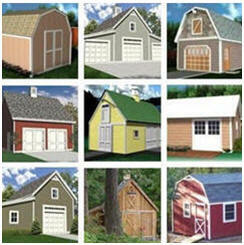 Choose from hundreds of small and simple project plans that are perfect for beginning woodworkers. Find ideas and how-to demonstrations for built-in wooden home improvements too.